The Model M16 Studio Dynetic Reproducer is of the highest quality, employing a new electromagnetic transducer for playing lateral phonograph records. 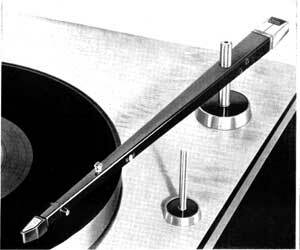 It is intended to reproduce LP recordings with needle forces of 1 to 2 grams with practical elimination of record and needle wear. The Model 16 Studio Dynetic is intended for studio and professional use and is capable of reproducing records up to 16" (40cm) in diameter. Can be used with the Model M21 Studio cartridge for Stereo playback. Shure M16 / M-16 owners manual, service manuals and schematics are for reference only and the Vinyl Engine bears no responsibility for errors or other inaccuracies. The PDF files are provided under strict licence. Reproduction without prior permission or for financial gain is strictly prohibited. This website is not affiliated with or sponsored by Shure.